Much misunderstanding exists about the position of Latin in the Catholic Church since the changes introduced by the Second Vatican Council in the 1960s. "Everything has to be said in English". The Second Vatican Council undoubtedly introduced the use of the vernacular into the liturgy. However, it did NOT mandate that this had to be used on all occasions. 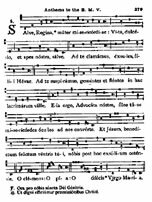 "the Church acknowledges Gregorian chant as specially suited to the Roman liturgy; therefore, other things being equal, it should be given pride of place in liturgical functions. But other kinds of sacred music, especially polyphony, are by no means excluded from liturgical celebrations so long as they accord with the spirit of the liturgical action" (art. 116). "every encouragement should be given to reciting or saying of the Ordinary of the Mass in Latin, on those occasions when it is possible, fitting and convenient. Definite steps must be taken to see that knowledge of the Latin Mass is not lost". 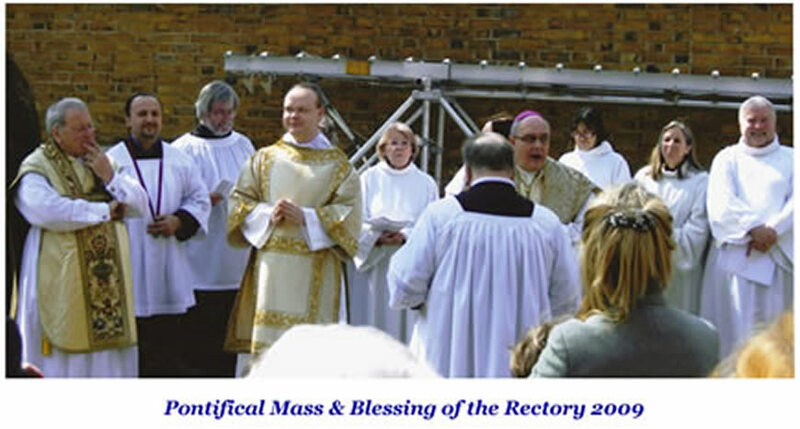 "the use of Latin in celebrating the new Mass rite will be encouraged as it has been in the old; Latin expresses the nature of the Church as international and timeless." The members of St Mary's Latin Mass Choir come together to support the unbroken tradition and ongoing maintenance of a weekly Latin Mass at St Mary's Church.